Kicking off what looks to actually be a pretty strong summer movie season, June has a lot of interesting offerings. From the biggest of the big budgets, to indie flicks that’ll probably make only a small blip at the box office, here are the 10 films I think you need to see this month. Directed by Patty Jenkins (Monster), Wonder Woman just opened on Friday and is already looking to smash records and exceed expectations. Of course, the film is the latest in the sometimes-maligned DC cinematic universe, though so far much more highly regarded by critics than DC’s other recent outings, including Suicide Squad and Batman v Superman. Directed by, written by, and starring stand-up comedian Demetri Martin, Dean follows a New York City-based illustrator (Martin) who returns home to the west coast after the death of his mother. (It also stars Kevin Kline and Community’s Gillian Jacobs, which are two more pluses, in my opinion.) Knowing Martin’s distinctive brand of comedy, I’d imagine it’d be helpful to already be a fan of his work going into the film, and perhaps as a result, the film has earned somewhat mixed reviews from critics after initially being well-received at this year’s Sundance Film Festival. A24 has become a darling of independent film, with each of their new releases pre-ordained with buzz before much is even known about the film itself. Not everything they release is a hit or even very good, necessarily (for every Room or Moonlight there seems to be a Sea of Trees or an Equals) but It Comes at Night seems like it has potential to be a crossover success. Starring Joel Edgerton and Riley Keough, it story is familiar within the horror genre (a man tries to seclude himself and his family to protect them from a mysterious outside threat, only to have some strangers show up seeking refuge), but it looks to balance horror tropes with artful filmmaking, which I can always appreciate. Oh, doesn’t this trailer look like melodramatic fun? Based on the novel of the same name by Daphne du Maurier, director Roger Michell (Noting Hill, Venus) seems to be embracing gothic camp with the help of his seemingly extremely game leading lady, Rachel Weisz. Throw in Sam Claflin as a wan upper-crust dreamboat (arguably the only type of role he should play), and I’m solidly on board. It shouldn’t be noteworthy that June features two major releases that are directed by women and feature female leads, yet it kind of is. The second of those is Rough Night, the debut feature from director Lucia Aniello. Aniello has worked extensively on Broad City and now makes the leap from television to film with the help of Broad City star Ilana Glazer. Following the misadventures of a bachelorette party whose hired male stripper winds up dead, Rough Night also stars Scarlett Johansson, Kate McKinnon, Zoe Kravitz, and Jillian Bell. Anna Lily Amirpour’s follow-up to her acclaimed debut feature, A Girl Walks Home Alone at Night, is sure to be batshit insane, if The Bad Batch’s trailer is any indication. Billed as a dystopian cannibal love story, The Bad Batch looks to offer an eclectic cast and style for days. It received somewhat lukewarm response on the festival circuit last year, but it looks ballsy, weird, and fun enough to get me into the theatre. Haven’t we all been waiting for Sofia Coppola to make a freaky Southern-gothic Civil War parable? Loosely based on the 1971 Clint Eastwood western of the same name and starring Kirsten Dunst, Nicole Kidman, and Elle Fanning, The Beguiled takes place at a Virginia girls boarding school that is disrupted by the arrival of Union soldier John McBurney (Colin Farrell). And in case all of that wasn’t enough to entice you, last weekend Coppola scooped up a Best Director award for The Beguiled at the Cannes Film Festival. There needs to be at least one quality indie rom-com released every summer (preferably starring Zoe Kazan), and The Big Sick looks like it could perfectly fill that slot. Telling the real-life story of star Kumail Nanjiani and his wife Emily (portrayed here by Kazan), the film follows a complicated relationship made more complicated when Emily suddenly becomes very ill. The trailer looks touching and its two stars are endlessly charming. AND The Big Sick is directed by Michael Showalter, whose last film, My Name is Doris, was equal parts funny and melancholy. Any new film by Edgar Wright is bound to garner a lot of excitement. But while his last outing, 2013’s The World’s End left me a little underwhelmed, I have high hopes for Baby Driver, partly just because it looks like something a little different from Wright. More than just being a typical caper/crime movie, film also boasts an interesting approach to integrating its soundtrack. The trailer looks relentlessly stylish (but, like… in a good way) and early buzz seems strong. It looks like it could be a perfect summer popcorn flick. There was a bit of a kerfuffle at Cannes this year after it was announced that Okja had been picked up by Netflix and would be released on the streaming platform just weeks after playing the festival. But hey, I’m not complaining about getting to see the new Bong Joon Ho movie. Following up 2013’s truly excellent Snowpiercer, Bong’s Okja looks strange and wonderful, telling the story of a young girl attempting to protect a fantastical creature from being kidnapped by a multi-national corporation. And to top it all off, the film stars Tilda Swinton, Jake Gyllenhaal, Paul Dano, Steven Yeun, and Lilly Collins. Time to fire up Netflix and enjoy. Just ahead of the summer movie season (which arguably kicks off on May 5th with the release of Guardians of the Galaxy Vol. 2), April is shaping up to be a strange month at the cinema. Even the major releases seem a little more low-key than usual. But with most of the tentpole franchises absent (save one notable exception), maybe it’ll make room for something a little different to catch on at the box office. Box office prognostication aside, there are a lot of really promising, slightly offbeat offerings this month. Here are the 10 I’m most excited for. Featuring a somewhat bonkers premise and a surprisingly star-studded cast, this latest film from Nacho Vigalondo (Timecrimes) is one that sounds too unique not to give a chance to. Anne Hathaway stars as Gloria, an American alcoholic who begins to realize that her own actions are directly linked to those of a giant monster who is simultaneously terrorizing Seoul, South Korea. Though it received generally positive reviews out of last year’s TIFF, this one seems like it could be divisive. In case it helps win you over, the film also stars Jason Sudeikis, Dan Stevens, and Tim Blake Nelson. Kicking off a strong month of Netflix exclusives is the latest from director Joe Swanberg, Win it All. Swanberg, once known for his truly voracious movie-making pace, has taken a break (by his standards) from movies to work on two recent series for Netflix, Easy and Love. Now back with his first film since 2015’s Digging for Fire, it seems like Swanberg has found a medium that suits his low-key films. Win it All stars Jake Johnson, Keegan-Michael Key, and Joe Lo Truglio and follows a man who spends all the money he’s promised to hold on to for an imprisoned friend, only to have to quickly win it back when the friend’s prison sentence gets shortened. Johnson (here a co-screenwriter) has become a regular collaborator with Swanberg, so here’s hoping this go-round is as entertaining and insightful as 2013’s great Drinking Buddies. Utilizing the usually successful trope of putting your protagonist in a confined space they can’t get out of (think 127 Hours, Buried, and Frozen [not the Disney one]), Mine is about a soldier (Armie Hammer) who gets stranded in the desert, surrounded by landmines and unable to move. It’ll be interesting to see how Hammer handles having the film pretty much all to himself (by the looks of it), considering his other work has either been supporting roles or with a co-lead. The premise here is good, so let’s see if the delivery does it justice. I’m still not totally sold on James Gray as a director, and 2015’s middling The Immigrant didn’t do a lot to change my mind. However, I have hope for his latest project, despite the fact (because of the fact?) that it stars the likes of Charlie Hunnam and Robert Pattinson. The Lost City of Z tells the true story of Col. Percival Fawcett (Hunnam), a British explorer searching in the 1920’s for a mysterious South American city. Delving into the life of Canadian folk artist Maud Lewis, Maudie stars Sally Hawkins and Ethan Hawke. Those two names alone are enough to pique my interest, but when combined with strong buzz from the festival circuit and a gorgeous-looking trailer, Maudie becomes a must-seee. While it may not have the same star power as something like the upcoming War Machine, it was nice to see Netflix snap up this indie crime romance, which earned strong reviews during its premiere at TIFF last fall. Starring Callum Turner (Green Room) and Grace Van Patten (Stealing Cars), Tramps is written and directed by Adam Leon, who made a splash with 2013 debut feature, Gimme the Loot. An unlikely rom-com, Tramps takes place in New York and follows two strangers who end up working together when a shady deal goes awry. With a top-notch cast (Brie Larson, Armie Hammer, Cillian Murphy, Jack Reynor, etc.) and a brash, bullet-riddled premise, it’s not too surprising that Free Fire is getting a major release. It’ll be a big step up in terms of attention for director Ben Wheatley (High-Rise, Kill List), though, previously a favourite in the cult film community. Free Fire looks fun and crowd-pleasing, and I’m intrigued to see how Wheatley’s vision competes among big-budget fare at the box office. After his directorial trifecta of Smashed, The Spectacular Now, and The End of the Tour, I’m now automatically excited for any movie helmed by James Ponsoldt. The Circle is far and away his biggest project to date, starring Tom Hanks and Emma Watson and based on the popular 2013 novel of the same name by Dave Eggers. The film follows Mae (Watson), a young woman who lands a lucrative job at a powerful tech company (the titular “Circle”), only to discover that they may have a sinister agenda. Having read and liked the book, I’m highly intrigued to see what Ponsoldt does with the material. A new Spike Lee movie is reason enough to perk up one’s ears (although perhaps also still resist full-fledged excitement, given the director’s spotty track record). This one sounds particularly interesting, even though details are still scarce. Rodney King seems to be a one-man show, examining King (portrayed here by Roger Guenver Smith) and the infamous videotape of his brutal beating at the hands of the LAPD. Lee likely won’t shy away from a bit of controversy with this latest project, so you’ll want to be part of the conversation about this film, which conveniently makes its premiere on Netflix. Other films of note: Their Finest (April 7, limited) looks like a charming return to form for Lone Scherfig (An Education), following a group of British propaganda filmmakers during WWII and starring Gemma Arterton, Sam Claflin, and Bill Nighy. And speaking of charm, Chris Evans, Octavia Spencer, and Jenny Slate team up for Gifted (April 7, limited), the latest from Marc Webb (500 Days of Summer, The Amazing Spider-Man) about a young girl with exceptional mathematic skill. Terrence Davies also returns hot off the heels of last year’s Sunset Song with A Quiet Passion (April 14, limited), examining the life of Emily Dickinson. And, finally, April also has something for the adrenaline junkies in the crowd, unleashing the hotly anticipated The Fate of the Furious (April 14, wide). A lot of new movies come out each year, but how many do we actually watch? The big blockbusters tend to take all of the attention, but there are so many good indies out there that it’s impossible to keep up with them all. In line with that, here’s one new release (big and small alike) for every day in July, as well as a one-sentence summary of why each might be worth your time. Ant-Man – Because even without Edgar Wright on board, the idea of Paul Rudd playing a superhero is too fun to resist. 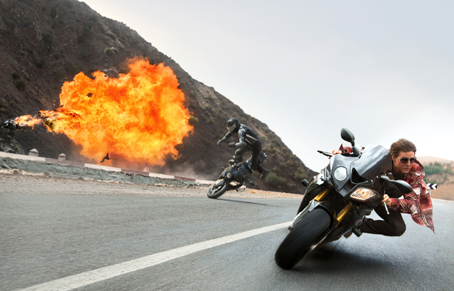 Mission: Impossible – Rogue Nation – Because Ghost Protocol was so damn good that it gave me (possibly misplaced) hope that this one will be, too. Terminator Genysis – Because even though it looks sort of awful, I’ll probably watch it anyways. Magic Mike XXL – Because, good lord, this looks absolutely ridiculous and like it’ll probably also be a lot of fun. Paper Towns – Because John Green adaptations are here to stay, and this one looks like it could be charming, coming-of-age fun. Self/Less – Because even if this Ryan Reynolds vehicle is terrible (which is quite possible) it’s directed by Tarsem Singh, which means it’ll still be pretty to look at. 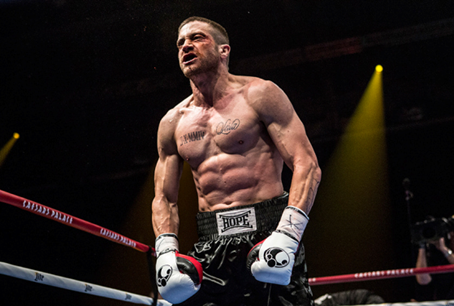 Southpaw – Because who can turn down an opportunity to watch Jake Gyllenhaal punish himself on screen? Trainwreck – Because it’s about time Amy Schumer and Bill Hader got their own movie, and the trailer looks completely delightful. Boulevard – Because this Dito Montiel-directed drama is Robin Williams’ final live-action role and he’s apparently excellent in it. The End of the Tour – Because, based on the trailer, this fictionalized story of David Foster Wallace looks like it both does its subject proud and manages to be narratively and thematically rich. Irrational Man – Because Woody Allen movies are always worth watching, even when they’re not good. Jimmy’s Hall – Because Ken Loach movies are always worth watching and are always good. 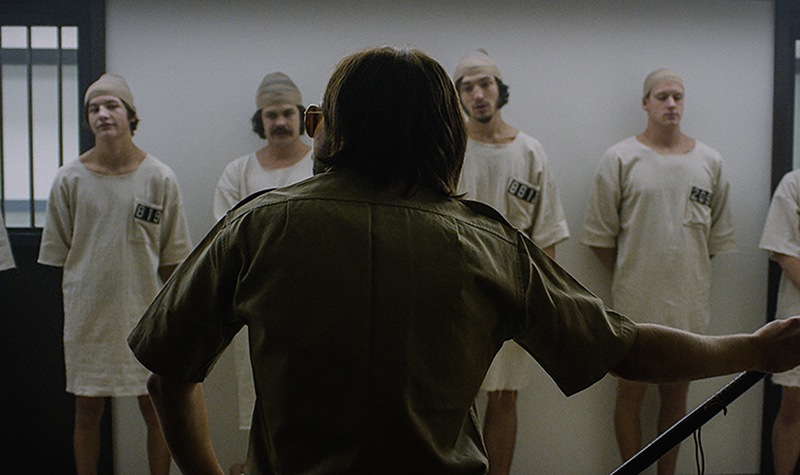 The Stanford Prison Experiment – Because if you don’t want to see Ezra Miller, Michael Angarano, James Frecheville, and a bunch of other great young actors sport ‘70s-era hair and moustaches, you’re CRAZY. Strangerland – Because I feel like I know exactly what this movie will be like, and sometimes that’s okay. Meet Me in Montenegro – Because this looks like a quiet and lovely little international drama from the director of In Search of a Midnight Kiss. Safelight – Because Juno Temple and Evan Peters are charismatic and quirky in a non-annoying way, so the idea of them playing a roadtripping couple here is appealing. Tangerine – Because it’s the “iPhone movie” from Sundance! 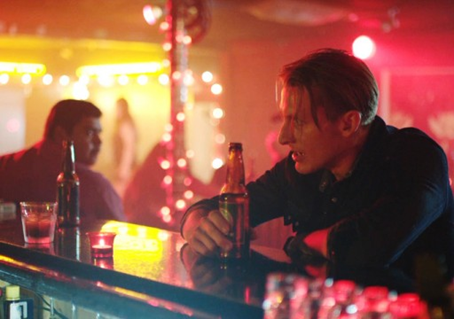 Two Step – Because this stylish, creepy-sounding thriller got good notices at SXSW. Unexpected – Because if Joe Swanberg releasing twelve movies a year wasn’t enough, now his wife is at it, too. 10,000 KM – Because this Spanish relationship drama (starring Harry Potter’s Natalie Tena) sounds like an interesting meditation on technology. Ardor – Because Gael Garcia Bernal always picks interesting movies (when he’s not working in Hollywood). Phoenix – Because the last time German director Christian Petzold teamed up with Nina Hoss and Ronald Zehrfeld (on 2013’s Barbara) very good things happened, and it sounds like Phoenix is even better. 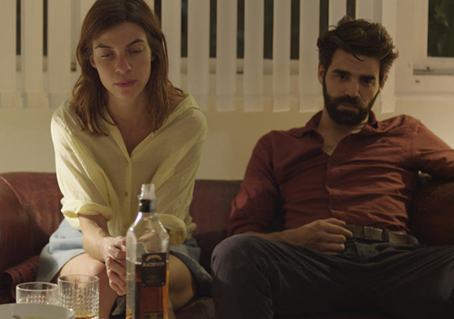 Samba – Because I’d watch Charlotte Gainsbourg and Tahar Rahim in anything, so it’s an added bonus that Samba also happens to look like a good movie. Stations of the Cross – Because this German movie about religion won the Silver Bear at the Berlin Film Festival last year. Amy – Because this intimate-looking doc aims to show you Amy Winehouse’s life beyond the incessant, destructive tabloid coverage. Best of Enemies – Because this Vidal/Buckley doc made big waves at Sundance. 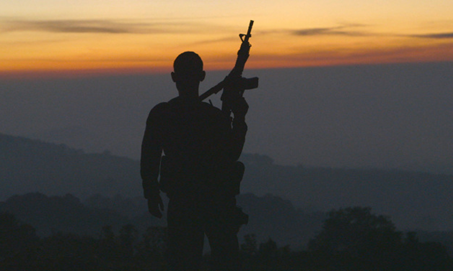 Cartel Land – Because this acclaimed doc shines a light on the issue of drug cartels in Mexico and the resulting tensions with the U.S. I am Chris Farley – Because why shouldn’t there be a documentary about Chris Farley? The Look of Silence – Because it’s the follow up from Joshua Oppenheimer to 2013’s The Act of Killing. Stray Dog – Because we’ve all been waiting for Debra Granik’s follow-up to Winter’s Bone, and even though most of us were probably not expecting her to make a documentary next, I’ll take it. Oh, summer movies. The summer movie season is never as thrillingly spectacular to me as it is to some, but it always seems much better in comparison to the January-April void we’ve just endured. It officially (?) kicks off in just a few days, so here’s my preview of the first month of summer (?) at the cineplex: May! Hmm…what’s that little indie flick called? Oh, that’s right. ALL TIME. If you’re curious (you’re not) about what my favourite pre-Avengers Avengers movie is, it’s Thor. However, if you hate superheroes and love old people, you’ll still have something to see this weekend, because The Best Exotic Marigold Hotel opens in limited release. I saw this trailer at every damn movie I went to in the past four months (what does that say about the movies I go to see?) and while the movie looks significantly less charming on my fifth viewing of the trailer, Bill Nighy has yet to stop charming me. Also opening in limited release is the dreadful-looking Miley Cyrus romp LOL, the dreadful-looking Kate Hudson romp A Little Bit of Heaven (Gael Garcia Bernal, what are you doing??? ), and the misleadingly titled slasher flick Mother’s Day. I had heard people mock the Dark Shadows trailer for weeks before I actually watched it myself, but after finally being forced to endure the preview at the theatre, I have to say that this movie looks…strange. Johnny Depp has considerable charm, sure, but I’m not sure who this movie is marketed towards. The Twilight set? Middle-aged women? Teenage boys? I don’t know. These Burton/Depp collaborations always seem to do well, though, and this one probably will, too. We’ll see if it’s actually any good. A whole whack of movies come out in limited release this week, so I’ll just mention two that look interesting to me. First is A Bag of Hammers. This drama stars Jason Ritter and Rebecca Hall (both of whom I like quite a bit) but the main appeal for me is the soundtrack, which was done by British folk artist Johnny Flynn. If you haven’t checked out Flynn’s music, you should do so. The other movie is Tonight You’re Mine, which is a romantic comedy that came out in the UK last year under the title You Again. It stars Natalia Tena (Tonks!) and Luke Treadaway (who I thought was very charming in Attack the Block) as two musicians who get handcuffed together at a music festival they’re both supposed to perform at. Could be cheesy, could be fun. Could be both. Battleship might already be the most derided film of the summer, and in a couple of short weeks, we’ll get to see if it’s as bad as basic logic would suggest. Look, I loved Taylor Kitsch on Friday Night Lights, but this blockbuster action star role doesn’t seem to suit him terribly well. Liam Neeson, though. Also out this week is the Sacha Baron Cohen comedy The Dictator (May 16). I’m not totally sold on him doing a mostly scripted comedy as one of his farcical characters (for me, the most interesting part of Borat was watching Regular Folks react to his outlandish behaviour), but I’d be glad to be proven wrong. Anna Faris, John C. Reilly, and Ben Kingsley give me more hope. I think I know exactly what to expect from What to Expect When You’re Expecting. Sophmoric humour that ham-fistedly reinforces gender stereotypes, perhaps? There are some talented and funny people in this cast, certainly. But also a lot of really, really annoying ones. will give us a behind-the-scenes look at the facial grooming rituals of Jason Bateman, Will Arnett, Zach Galifianakis, Paul Rudd, and some other funny men. As well, Dustin Lance Black’s directorial debut, Virginia (previously titled What’s Wrong With Virginia), finally receives a public release after getting panned at TIFF 2010. The film stars Jennifer Connelly, Ed Harris, and Emma Roberts. In limited release is one of the month’s more interesting offerings, Wes Anderson’s Moonrise Kingdom. I’m not quite enamoured with Anderson as a director (though I do love Rushmore and The Royal Tenenbaums), but I’m always curious to see what he’ll do next. Throw in Bruce Willis, Edward Norton, Tilda Swinton, Bill Murray, Harvey Keitel, Jason Schwartzman, and Frances McDormand, and I’m sold. Jeremy Renner is everywhere. Edward Norton is nowhere, currently. But I’m equally excited to see them in this Bourne reboot (? ), even though I’m not too excited that they’re continuing the franchise without Matt Damon. Hopefully Tony Gilroy (who wrote the other Bourne films and is stepping in as director for this one) makes it more interesting than he did with Michael Clayton. This is Pixar’s latest family film, and it looks pretty adorable and female-empowering, which is awesome. I also like that Craig Ferguson now has a second career doing voice-over work in kid’s movies. This Mark Wahlberg shoot-em-up movie looks like pretty standard fare, however its cast has me slightly more interested. With a supporting cast that includes Kate Beckinsale, Ben Foster, Giovanni Ribisi, Lukas Haas, Caleb Landry Jones (last seen as Banshee in X-Men: First Class), J.K. Simmons, and Diego Luna, this movie has too many actors I like to not give it a rental. I can’t think of a better Christmas present. Leo DiCaprio, Joseph Gordon-Levitt (!! ), Sascha Baron Cohen, Samuel L. Jackson, Christoph Waltz, and Kurt Russell are just a few of the intriguing names attached to this Tarantino-directed western. The problem with following movie casting news is that it can lead to disappointment when things don’t pan out. I remember when Casey Affleck, Sam Rockwell, and Javier Bardem were all attached to Andrew Dominik’s follow-up to The Assassination of Jesse James. Nonetheless, I’m still very interested to see what else Dominik is capable of, and with Brad Pitt, Richard Jenkins, and Ben Mendelsohn all on board, we’re really not doing too badly. This is Steven Soderbergh’s first action-y blockbuster since Ocean’s Thirteen. In Haywire, Ewan McGregor, Michael Fassbender, Antonio Banderas, Channing Tatum, Michael Angarano, Michael Douglas, and Bill Paxton all must deal with the fallout after a black ops super soldier (played by MMA fighter Gina Carano) is betrayed by her team. With such a strong cast, I have high hopes for the film, however being bumped from late 2011 to January 2012 (the doldrums of movie release dates) might not bode well? Let’s ponder this for a minute. Joseph Gordon-Levitt. Michael Shannon. Bicycling. In what world does this exist as an action movie (or any kind of movie, for that matter)? Whatever, I’m excited. Daniel Craig + Javier Bardem + Ben Whishaw + Ralph Fiennes = a movie that I am very interested in. It would have been awesome if they’d gotten Martin Campbell back for this latest Bond film (I loved what he did with Casino Royale), but at least it’s not Marc Forster again (he fucked up Quantum of Solace pretty badly, in my opinion). Sam Mendes is certainly a good director, though, so I’m interested to see what he’ll do with the series. I like Chris Pine and Tom Hardy quite a bit, so by default, I have to watch this movie at some point. The action-comedy genre has already played itself out, I think (and it was never that good to begin with), but this one looks at least potentially funny/interesting? What a cast. Jessica Chastain is in every big movie, so obviously she is in this one. Throw in other up-and-comers like Joel Edgerton, Edgar Ramirez, Jason Clarke, and Chris Pratt (I like that he’s becoming kind of a movie star) and Mark Strong (who I have a newfound admiration for), and you’ve got a movie that I’m interested in. Also, I’m sure everyone is excited to see what Bigelow will come out with after The Hurt Locker.